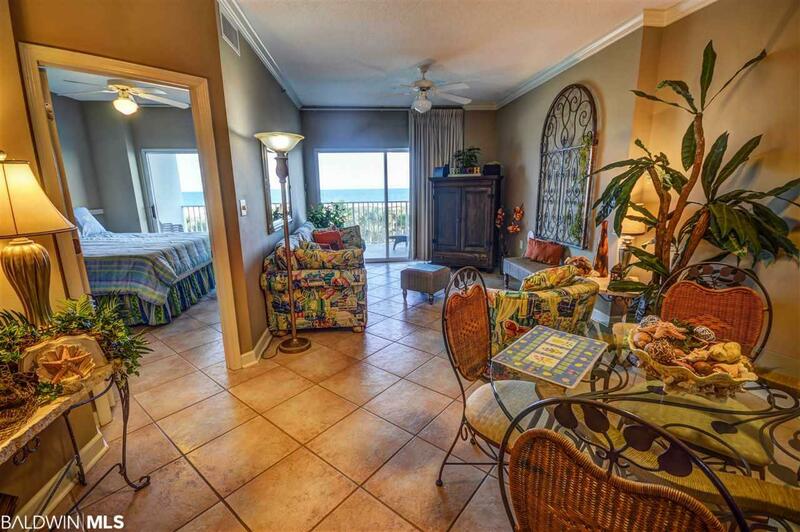 Tidewater is located on the most pristine beach that Pleasure Island has to offer. This popular complex is located within walking distance to many shops, restaurants, and entertainment. 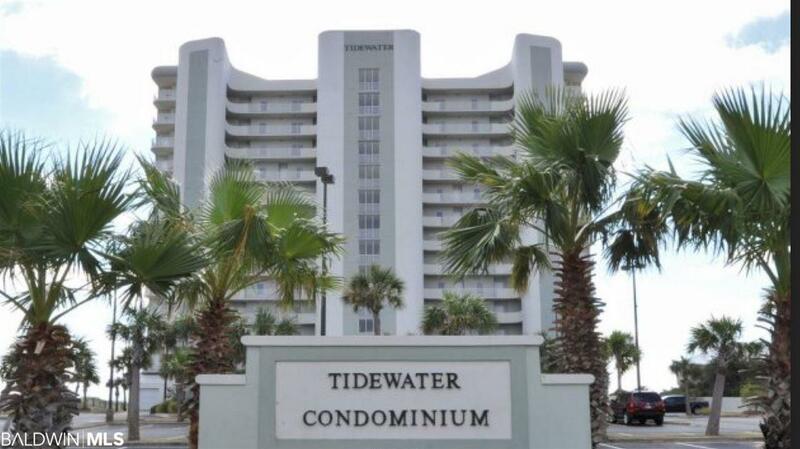 Tidewater has a gated front entrance with beachfront amenities such as indoor/outdoor pools (located next to each other), hot tub, sauna, exercise room, and an outdoor grill. 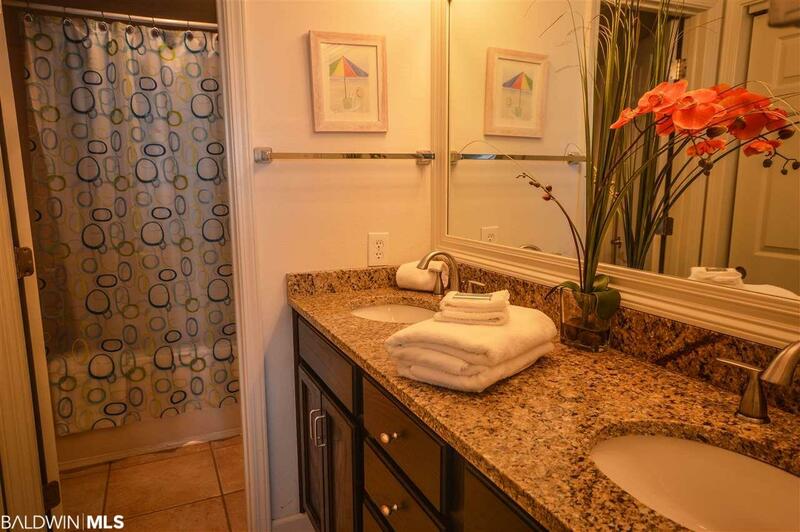 Condo 108 is a 2 bedroom/bath that sleeps 6 making this condo a great rental asset especially being on the first floor. 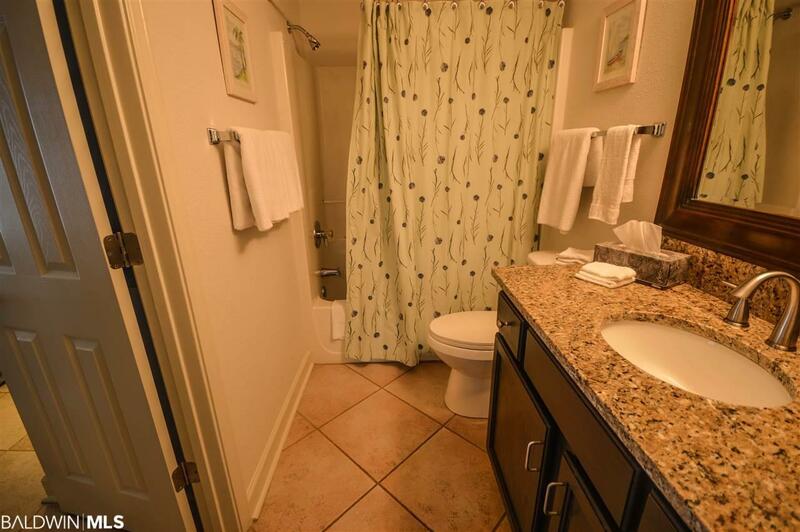 This condo has updated 18 custom tile floors, granite countertops, appliances, water heater, furnace, a/c, and painted neutral earth tones colors. Extra features include motorized hurricane shutters, ceiling fans, crown molding, granite tops, and high ceilings. Listing provided courtesy of Amerisell Realty. Listing information © 2019 Baldwin County Association of REALTORS® MLS.